This month, we're pleased to highlight some features of this year's Annual Meeting: its four themes, each one reflected in several sessions led by world experts, and a New Members Breakfast. This issue also includes news of three MASCC award programs: Outstanding Study Group and Study Group Leader Awards, MASCC-Designated Center of Excellence in Supportive Care in Cancer, and the annual Distinguished Service Award. Note the deadline of April 1 for DSA nominations! MASCC President Raj Lalla, DDS, PhD, discusses MASCC's efforts to recognize outstanding work within and outside the MASCC community. As usual, we include upcoming conference reminders. We extend a warm welcome to all the new members who joined us in December. And we encourage every member to be a voice for MASCC! 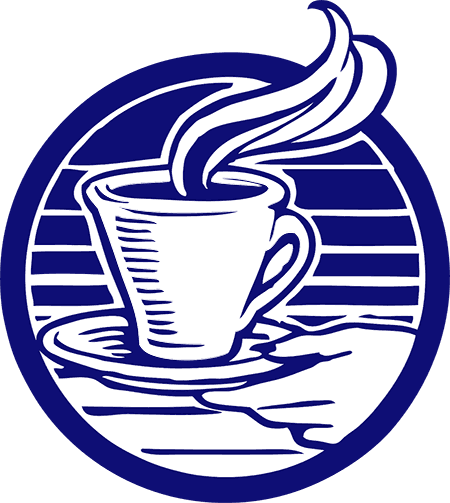 All issues of the MASCC Society News are available online at http://www.mascc.org/society-news. Older issues (through August, 2016) can be found in the back pages of our journal, Supportive Care in Cancer. This issue of the Society News contains information on three MASCC programs to recognize outstanding efforts in supportive care in cancer, two of them new. 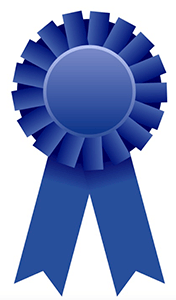 First, a new award has been established to recognize outstanding work by MASCC Study Groups and Study Group Leaders. Projects carried out by our Study Groups result in clinical practice guidelines, position papers, publications, and other products that advance supportive care in cancer. It is therefore fitting that we recognize excellent work by our Study Groups and the leaders that drive those efforts. Second, a new program has been established by which MASCC will certify Centers of Excellence in Supportive Care in Cancer around the world. The goal of this program is to improve patient care by recognizing centers and departments that provide top-notch supportive care services in oncology. 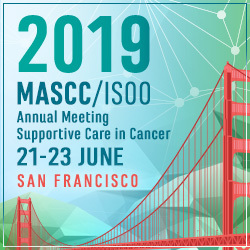 By setting the standards for integration of supportive care in oncology services and recognizing centers that meet those standards, MASCC is seeking to encourage other centers to follow the example set by these role models. This is an important step in promoting recognition of the importance of supportive care in cancer to patient well-being. Many thanks to MASCC Board Member Carla Ripamonti, MD, for her leadership and hard work on this initiative. The third recognition program mentioned in this issue is the MASCC Distinguished Service Award. This is MASCC's highest honor and recognizes exemplary contributions to MASCC and to supportive care in cancer. The high standards for this award are epitomized by our most recent recipient, Charles Loprinzi, MD, as well as by the previous awardees. I look forward to honoring our next winner in San Francisco. In closing, I leave you with the words of Khalil Gibran: "All work is empty save when there is love, for work is love made visible." The Outstanding Study Group Award recognizes a Study Group's excellence and outstanding achievement in promoting, activating, and executing activity within the SG. The Outstanding Study Group Leader Award recognizes the principal driver of the main project that led to the Study Group's recognition and award. See the Study Group Award Policy for eligibility criteria and selection process. The MASCC Distinguished Service Award (DSA) recognizes meritorious achievement, exemplary leadership, and outstanding contributions to MASCC and its mission. Any MASCC member can nominate a candidate for this award. Nominees must be current members of MASCC in good standing and must have made a significant contribution to research, education, and/or clinical supportive care in cancer. The DSA is presented each year at the MASCC/ISOO Annual Meeting. The most recent recipients include Charles Loprinzi (2018), David Warr (2017), Matti Aapro (2016), Jørn Herrstedt (2015), Dorothy Keefe (2014), Declan Walsh (2013), and Paul Hesketh (2012). Nominations for the 2019 DSA are due by April 1st. See the award policy, selection process, and nomination form at MASCC Policies and Forms. This year's Annual Meeting will feature four themes of critical importance in supportive care: Digital health applications, sexual health, new toxicities arising from new treatments, and issues faced by cancer survivors. These themes are reflected in plenary sessions, parallel sessions, and workshops throughout the meeting. Speakers are Egidio Del Fabbro, MD (Virginia Commonwealth University, USA), Rony Dev MD (MD Anderson Cancer Center, USA), and Liz Isenring, PhD (Bond Institute of Health and Science, Queensland, Australia). The webinar will be held on Tuesday, February 26th, at 6:00 pm EST. The cost is $5 for MASCC members and $10 for nonmembers. To register, click here. World Cancer Day is a global observance that helps raise people's awareness of cancer and how to prevent, detect, and treat it. This event is held each year on February 4th - a time when people, businesses, governments, and nonprofit organizations work together to help the general public learn more about the different types of cancer, as well as prevention, treatment, and support. The 2019-2021 campaign theme, "I Am and I Will," stresses empowerment and personal commitment and is intended to inspire change and mobilize action long after the official day has passed. This is also a good time to help spread the word about the importance of supportive cancer care, both for people living with cancer and their caregivers. See the Research Positions page on the MASCC website for news about available research positions in supportive cancer care. And let us know if you have a supportive cancer care position opening for a trainee, fellow, or senior scientist. This year's meeting will take place on Friday through Sunday - June 21-23, 2019 - a change from previous years. The meeting will be held at the Hyatt Regency San Francisco, on the waterfront. You can sign up for Annual Meeting updates at the official meeting website to find out about registration, sessions, speakers, and special features of the 2019 program. And take a look at the list of Abstract Topics and Submission Guidelines. The Oncology Nursing Society has offered MASCC two complimentary registrations to its 2019 Annual Congress, to be held April 11-14 in Anaheim, California, USA. First come, first served. Please email Melissa Chin if you are interested. A warm welcome to the new members who joined us in December! Take a look at our Promotional Toolkit, where you can find PowerPoint slide sets, banners, adverts, and signature banners to use in your email signature files. We encourage all members to take advantage of these resources and let your colleagues know about MASCC and our next meeting. Join MASCC's buzzing online community on Facebook, Twitter and LinkedIn to hear the latest important news and converse with many colleagues who share your interests. Be a Voice for MASCC! 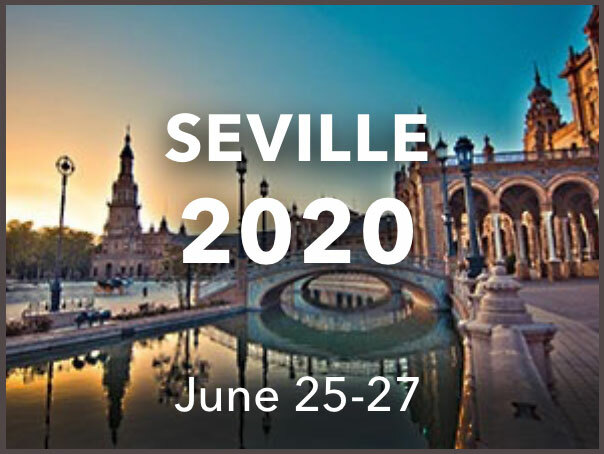 Say a few words about MASCC and our Annual Meeting at your next speaking engagement. Contact Melissa Chin for a few MASCC slides to add to your presentation. 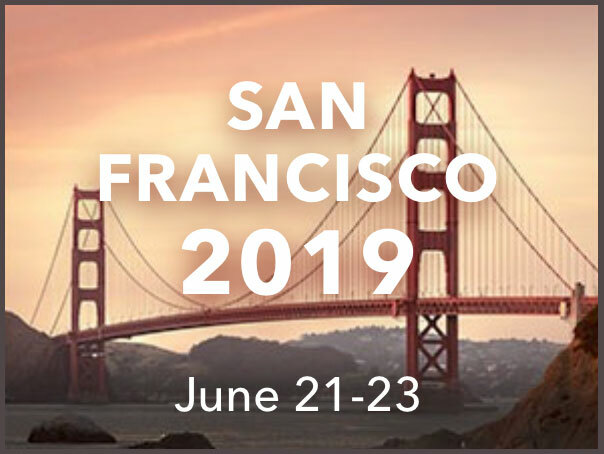 And join us in San Francisco for an exciting program featuring supportive care research advances and clinical applications. MASCC's Social Media Strategy Toolkit and Twitter Quick Guide were designed to help MASCC and its members establish a global social media presence. These guides will help you manage social media accounts and implement best practices for Twitter, Facebook, and LinkedIn in order to effectively disseminate MASCC's research and educational efforts, including new supportive care information and practice resources. Your membership includes free access to the online version of our journal, Supportive Care in Cancer. Go to: http://www.mascc.org and log in as a member. On the Member Landing Page, you will see a link to Proceed to the SCC Online Journal. Go to the online access of the journal (see above for access). Click on Browse Volumes & Issues. Then, click on June 2018, Issue 2 Supplement. There, you can read the issue or download a PDF of all the abstracts. This message has been sent to you because you are a MASCC member.